Sister Eileen (Kieran) Currie, CSJ, 93, died Thursday, September 1, 2016, in her 75th year as a Sister of St. Joseph. The daughter of James and Gertrude McGowan Currie, Sister Eileen entered the Congregation from St. Titus Parish in Aliquippa, PA.
She served more than 40 years – as principal, teacher, or consultant – at 11 schools in the dioceses of Pittsburgh, Greensburg and Columbus, OH. Known for her excellent administrative skills, Sister Eileen was principal at St. Catherine in Beechview (1974-80, 1983-85), St. Angela Merici in White Oak (1980-83), St. Pius X in Reynoldsburg, OH (1966-72), St. Bernard in Indiana, PA (1958-64), and Mount Gallitzin Academy in Baden (1964-66). Characterized as a “great listener” and “people-person,” Sister Eileen often heard from former students who credit her for their faith and academic foundation. After decades working with children, Sister Eileen responded with grace to a new opportunity to serve seniors at Alexis Manor, an affordable housing complex in Wexford, PA. Residents and staff at Alexis Manor, where Sister Eileen served 24 years as a Manager, described her presence as gentle and caring – always patient and kind. 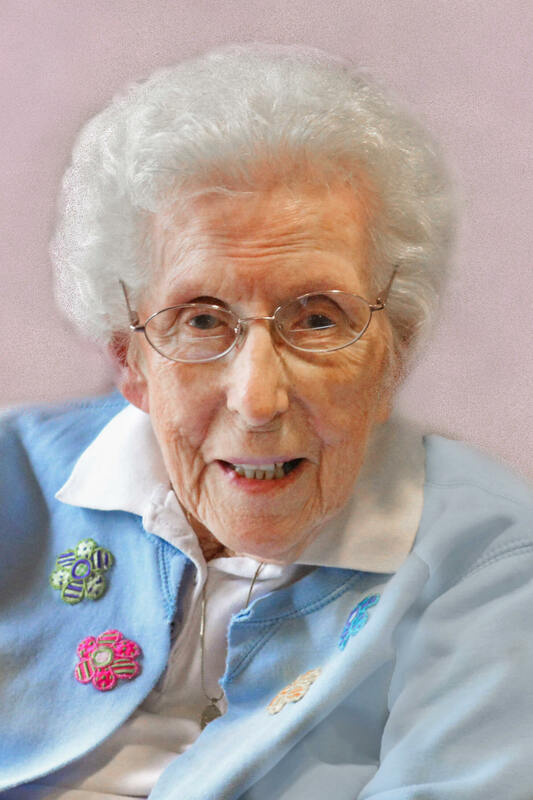 Whether among the young or the elderly, Sister Eileen collectively defined her ministries as “a presence for bringing God to others.” In 2013, she moved to Villa St. Joseph where she maintained a devout prayer life and a cheerful disposition. She delighted in regular visits from Buster and Luca from the Pets with Heart therapy outreach established by the sisters. Sister Eileen expressed gratitude that she was able to celebrate her 75th year as a Sister of St. Joseph during this Jubilee Year of Mercy. Sister Eileen is survived by nieces and nephews, grandnieces and grandnephews and the Sisters of St. Joseph of Baden. Friends will be received Tuesday, September 6, from 1 to 8 p.m. and Wednesday, September 7, from 11 a.m. to 3:30 p.m. at the Motherhouse of the Sisters of St. Joseph. Prayer Vigil will be Tuesday at 6 p.m. at the Motherhouse. Mass of Christian Burial will be offered Wednesday at 4 p.m. Burial will follow in the Sisters’ Cemetery on the Motherhouse grounds. Donations in the name of Sister Eileen may be sent to the Sisters of St. Joseph Memorial Fund, St. Joseph Convent, 1020 State Street, Baden, PA 15005. Make a donation in memory of Sister Eileen.